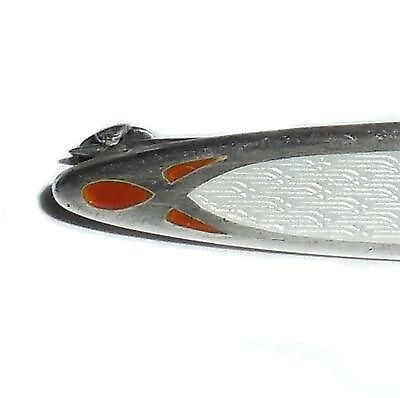 Antique Edwardian Enamel on Sterling Silver long chemise, lingerie or dress pin. 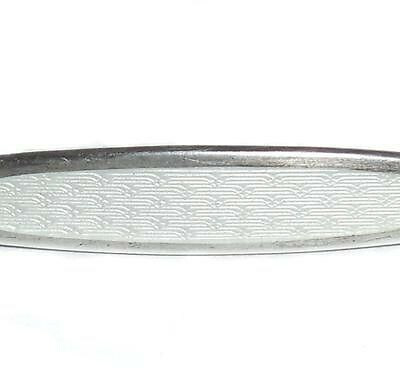 Marking – Sterling, with Maker Mark of IB with a dagger going through the center. Hand Made. 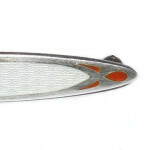 Orange red and cream white French Guilloche Enamel Work. 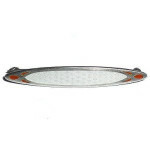 Excellent Condition Size – East to West is 1 13/16″. North to South wide in the center is 1/4″. 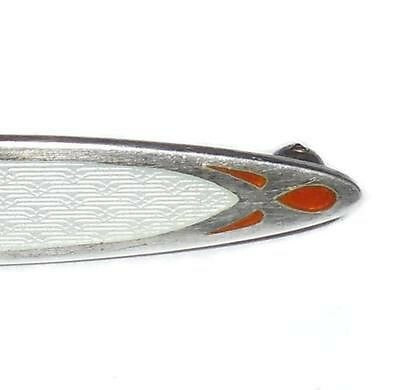 Beautiful antique statement pin for your antique clothing or jewelry collection. 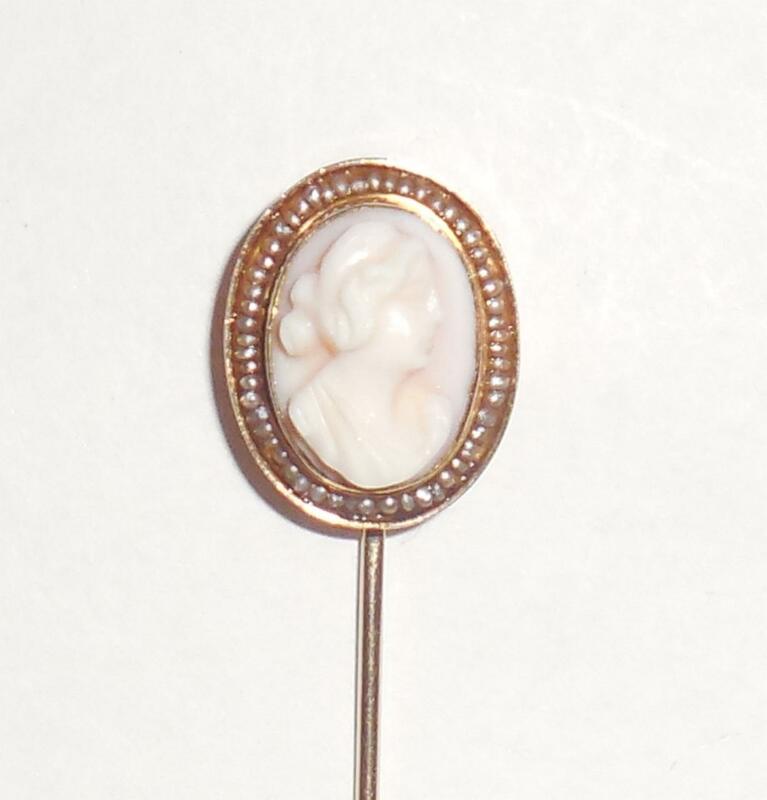 This is a beautiful, completely original, excellent condition, antique Victorian 14K gold, seed pearl wrapped, angleskin coral cameo stickpin. 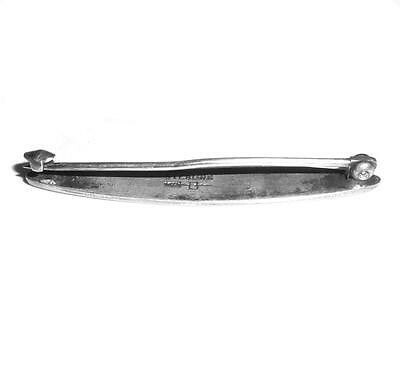 It is marked 14K, jeweler tested and Guaranteed to be solid 14K yellow gold.....Not plated or filled. Size is 2 5/8" tall North to South by 1/2" wide East to West across the top. 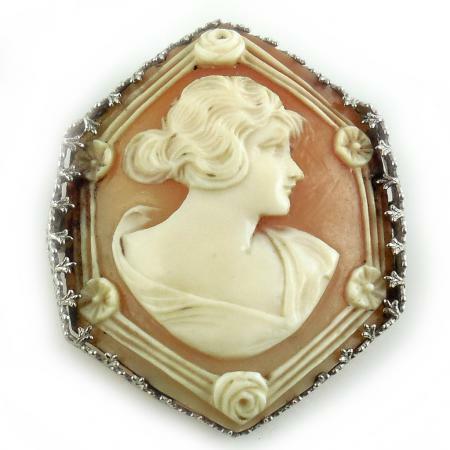 The carved coral cameo head is very raised and beautifully detailed. She has a large, wavy bonnet with hair in a bun in the back, carved blouse, intaglio eye, small straight nose and curvy chin. 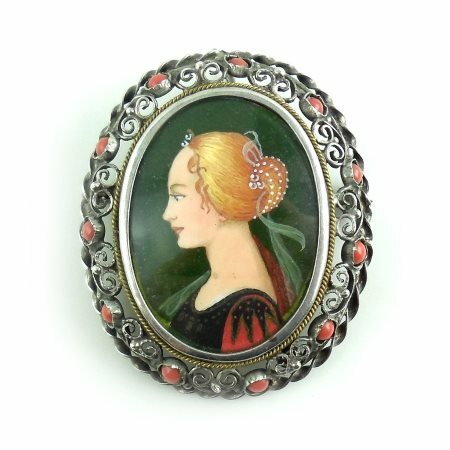 Framing the cameo is a row of original Victorian tiny hand set seed pearls. 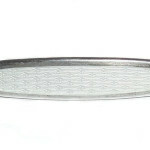 They are not every .5mm.......very, very tiny. Difficult work to set these tiny pearls. Weight is 2 grams. 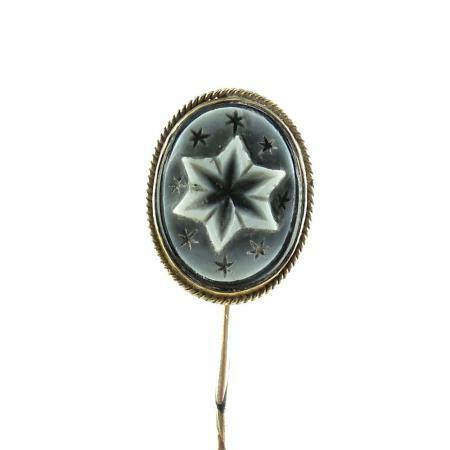 It is from an estate collection of antique Victorian stickpins and is in excellent condition overall. No cracks or chips. No dents or dings or repairs. All original condition. 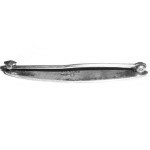 This is a lovely stickpin for your antique jewelry collection. It is well made, unusual and very pretty with the pearl wrap.